for $264,710 with 3 bedrooms and 2 full baths, 2 half baths. This 1,094 square foot home was built in 1957 on a lot size of 0.06 Acre(s). BRAND NEW ROOF INSTALLED FEB 2019. 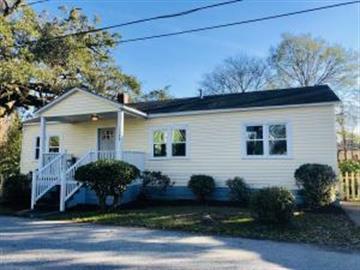 Thoughtfully remodeled home in coveted, convenient location, next to Avondale, backing up to the W. Ash Greenway & only 12 mins from downtown Charleston. Enjoy the quiet street & sit out on the porch or take advantage of our sunsets from your fenced-in backyard. Walk through the door onto your new hardwood floors & into your living room bathed in natural light. Head to the dining room that leads into a gorgeous kitchen with plenty of storage. To the left is the remodeled ensuite master bath with an appealing tiled shower, dbl vanity & barn door. The bright master bedroom with walk-in closet & direct access to the backyard will enchant you with its comfort & warmth.